Even hailstones did not stop this week’s spring clean. There was support from local Councillor Qaisar Abbas, on his way to Garrison Residents Association Easter Fete and Revd. 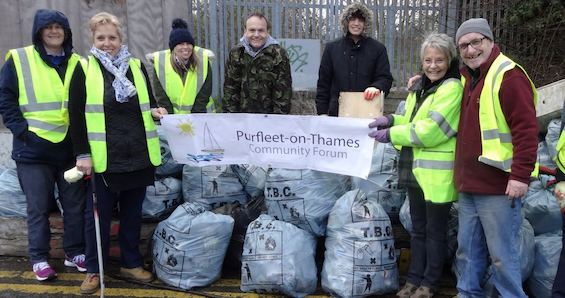 Matt Drummond, Purfleet’s new Vicar became a Purfleet Picker. A new waste bin by Cornwall House Car Park should help reduce future commuter waste. The litter picks are proving to be a very rewarding way to keep fit, so look out for the next litter pick after the Easter break, details will be on Purfleet-on-Thames Community Forum web and media pages.